Here we in the Will Eisner region, arguably the strongest region in the tourney, some big names moved through with little difficulty. Brian K. Vaughan moved one step closer to maybe seeing his co-creator on Saga (Fiona Staples) in the final, while Brian Bendis took down Scott Snyder with surprising ease! And while Ed Brubaker may have had an easy run against Kelly Thompson, he must now face… Robert Kirkman. 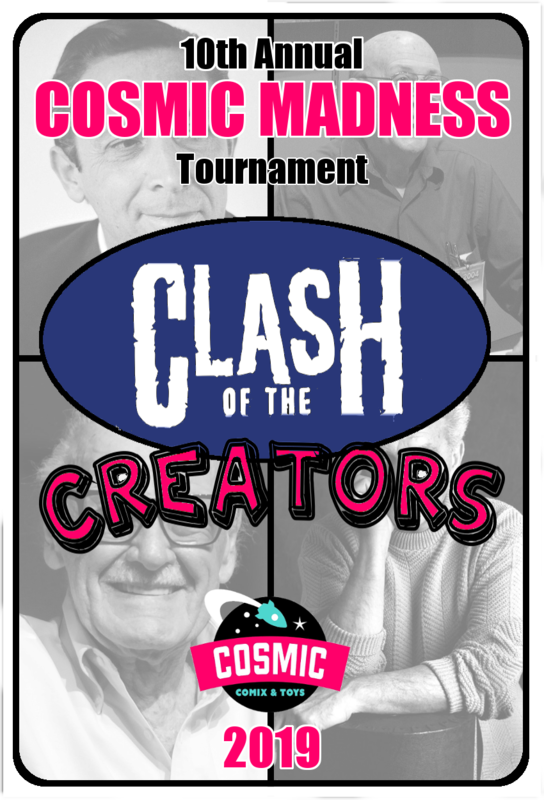 All you have to do is pick which writers you want to win in each contest. The second round of voting will go from March 25-28, with the second round kicking off on March 29. 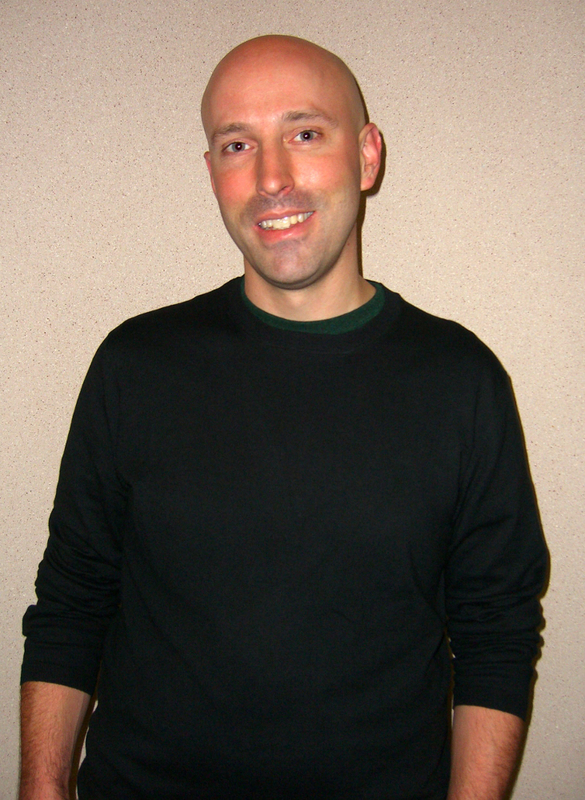 Brian Keller Vaughan is an American comic book and television writer, best known for the comic book series Y: The Last Man, Ex Machina, Runaways, Pride of Baghdad, Saga, and, most recently, Paper Girls. For his writing, Vaughan has won 14 Eisner Awards, 14 Harvey Awards, as well as a Hugo Award. In terms of modern comics only Brian K. Vaughan and Saga can compare to the scope of readers that Kirkman’s Walking Dead has reached. Keep in mind this is without a television show to drive sales and just comparing it to a Star Wars/Romeo and Juliet mash-up doesn’t do it justice to how richly creative the title is. In fact Saga alone would be good enough to earn Vaughan a spot on our illustrious list of creators but it doesn’t hurt that Y the Last Man continues to stay relevant even though it has been TEN years since the last issue of was released. Even new books like Paper Girls show how valuable a meticulous, years-long story driven book can be in an age when most comics struggle making it past volume one. Bendis is an American comic book writer and has won five Eisner Awards for both his creator-owned work and his work on various Marvel Comics books. Starting with crime and noir comics, Bendis eventually moved to mainstream superhero work. With Bill Jemas and Mark Millar, Bendis was the primary architect of the Ultimate Marvel Universe, launching Ultimate Spider-Man in 2000. He relaunched the Avengers franchise with New Avengers in 2004, and has also written the Marvel "event" storylines "Secret War" (2004–2005), "House of M" (2005), "Secret Invasion" (2008), "Siege" (2010) and "Age of Ultron" (2013). Now Bendis has taken his talents to DC and is not only writing Superman, Action Comics, Naomi and Young Justice but also FOUR Jinxworld titles as well! Credited with creating Miles Morales, Jessica Jones and a slew of other Marvel heroes, Bendis’ legacy on Marvel’s comic books is cemented and, after writing every Marvel hero possible, he has set his sights on the DC Universe. His ability to create new story lines is second to none and his shakeup of the DCU is just beginning. Brubaker is an American comic book writer and cartoonist. Brubaker's first early comics work was primarily in the crime fiction genre with works such as Lowlife, The Fall, Sandman Presents: Dead Boy Detectives and Scene of the Crime. He later became known for writing superhero comics such as Batman, Daredevil, Captain America, Catwoman, Uncanny X-Men, and The Authority. He has won an Eisner Award on six separate occasions. Today Brubaker is the go to writer if you’re looking for your next crime drama. Along with Sean Phillips (check the artist side) his longest running book, Criminal, has just begun another volume and his recent Kill or Be Killed comic should be in contention for the best book of all of 2018! Don’t let that stop you from going back and re-reading those Marvel books though. The Winter Soldier set up the foundation for the MCU’s version of Bucky Barnes and his impact on the Marvel Universe can be felt to this day. 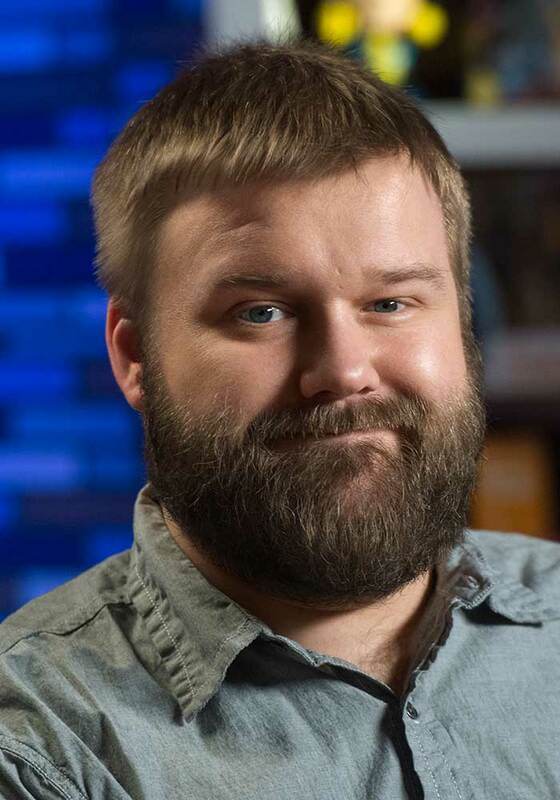 Kirkman is an American comic book writer best known for creating The Walking Dead, Invincible, Outcast, and Oblivion Song for Image Comics, in addition to writing Ultimate X-Men, Irredeemable Ant-Man and Marvel Zombies for Marvel Comics. He is one of the five partners of Image Comics (the only one of the five who was not one of its co-founders) and currently serves as the chief operating officer for Image. While his Skybound imprint continues to publish not only his comics but also a slew of up and coming talent with great books each and every week. Currently Kirkman is still writing The Walking Dead (issue #200 coming soon!) and while his long running Invincible comic has recently ended (#144 issues) he has begun to fill that void with TWO new series. Oblivion Song is the story of 300,000 people who mysterious disappeared into a hellish dimension full of monsters that could only be in comics. While Die Die Die is nothing but action action action and although we haven’t seen a trade yet, fans who have been reading since the beginning will vouch for its awesomeness. Check out the results for the Will Eisner Region so far!